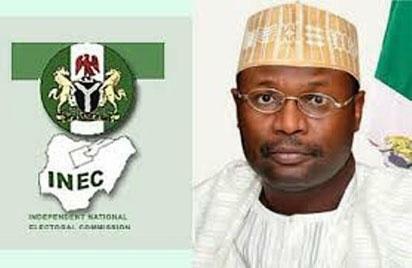 The new Resident Electoral Commissioner in Oyo State, Mr Mutiu Agboke, has warned staff of the Independent National Electoral Commission (INEC) against engaging in electoral malpractices during the 2019 general elections. Agboke gave the warning in Ibadan on Friday during a meeting with heads of departments and electoral officers of the 33 Local Government Areas of the state. The commissioner, who resumed duty on Jan. 25, urged the staff to remain impartial and be ready to provide a level-playing field to all stakeholders during elections. “We must rise to make the process free and credible because electorates in the state expect much from us. “Mind what you say and who you relate with as we cannot afford to let the electorate down,’’ Agboke said. The INEC REC said that 139, 225 eligible voters had so far registered in the ongoing Continuous Voter’s Registration (CVR) in the state. He disclosed that 6,251 Permanent Voter’s Cards (PVCs) had also been distributed since the commencement of the exercise. Agboke called on the general public to disregard rumour that the commission would end the CVR by Jan. 31 saying the information was false and misleading. According to the commissioner, the exercise will continue until the commission announces a suspension much later in the year in accordance with the law. He pledged to be fair to all and ensured that the electoral body in the state delivered the mandate of the commission as provided in the nation’s constitution. The post 2019 Elections: Oyo REC warns staff against electoral malpractices appeared first on Vanguard News.